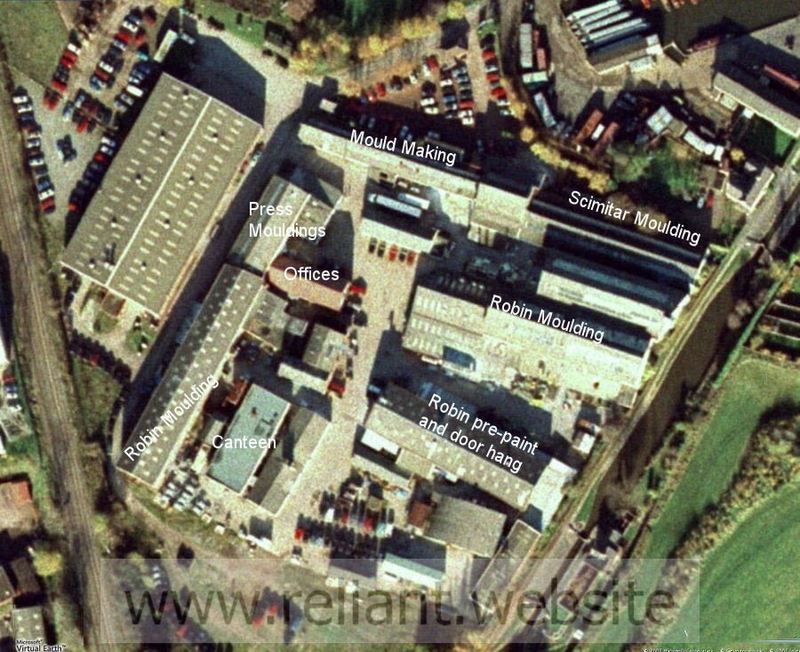 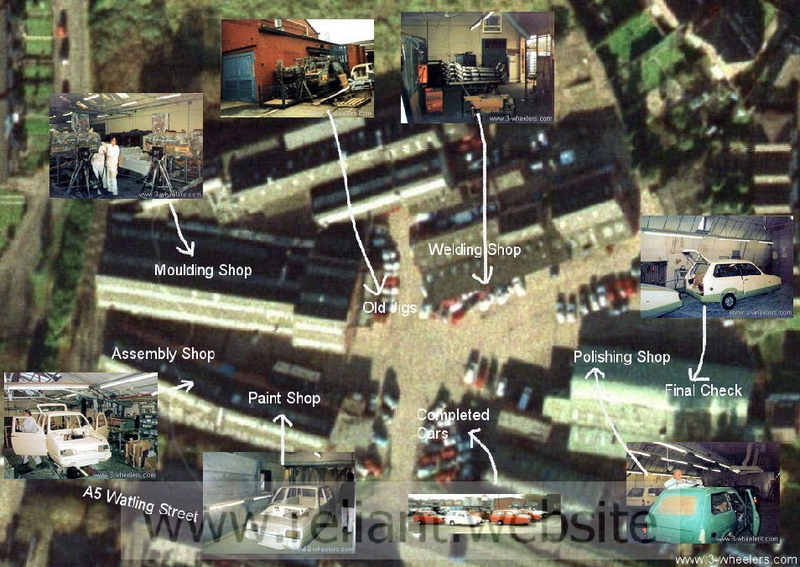 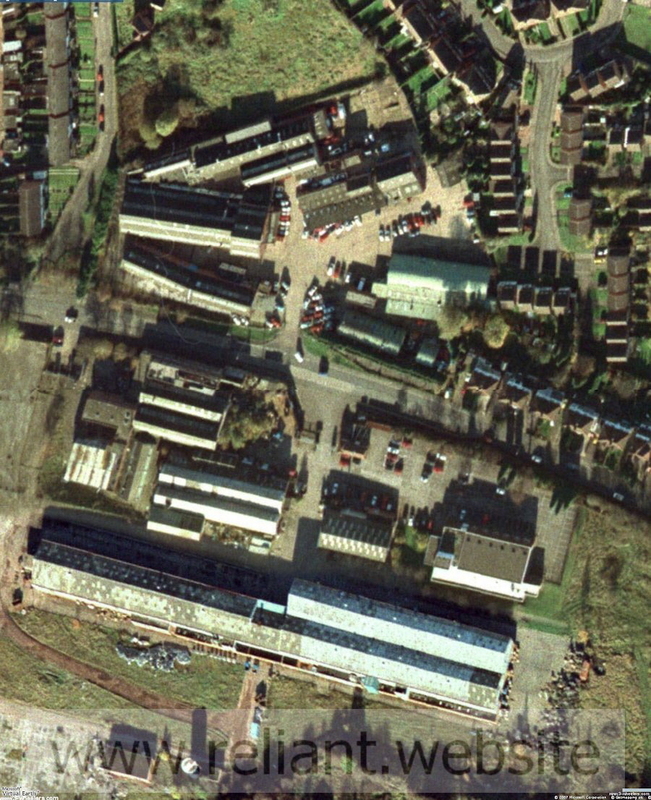 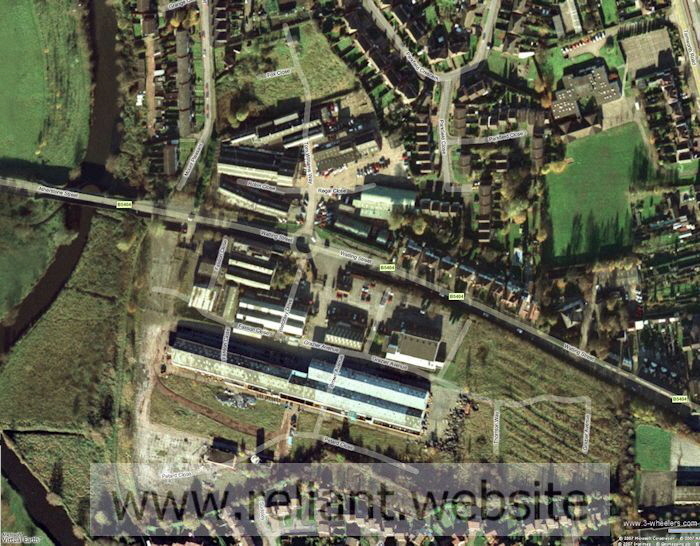 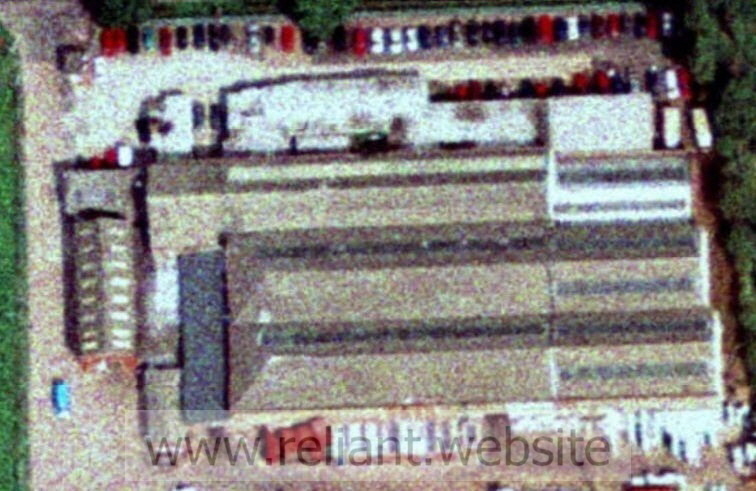 Although it was torn down in around 2000, the original Reliant factory was still showing in Microsoft Live Search Maps web site (Now Bing Maps) until around 2008 . 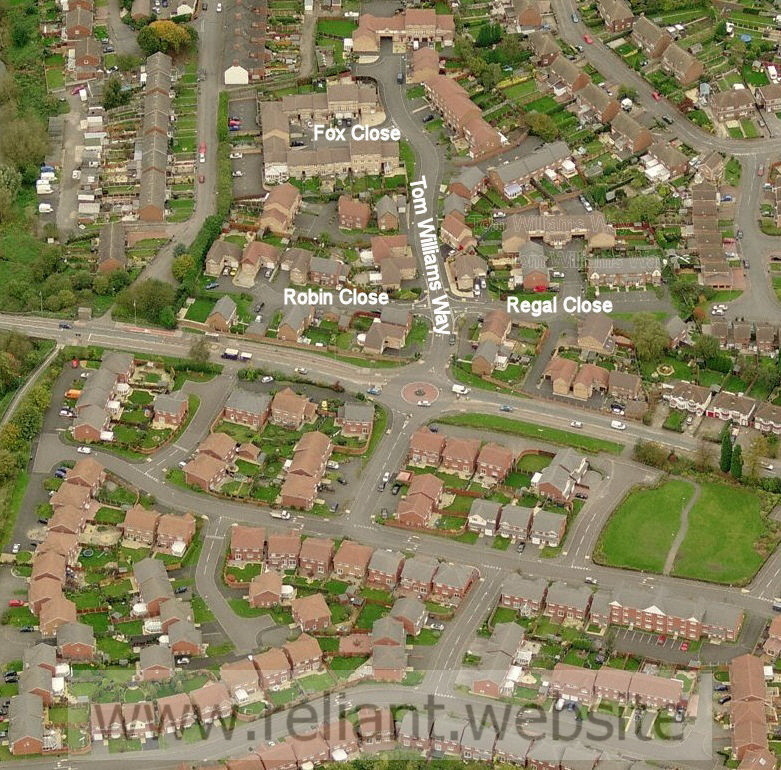 Luckily in 2007, Elvis Payne took a copy of the images for posterity as the website has now been updated and instead shows the new housing estate that stands in its place. 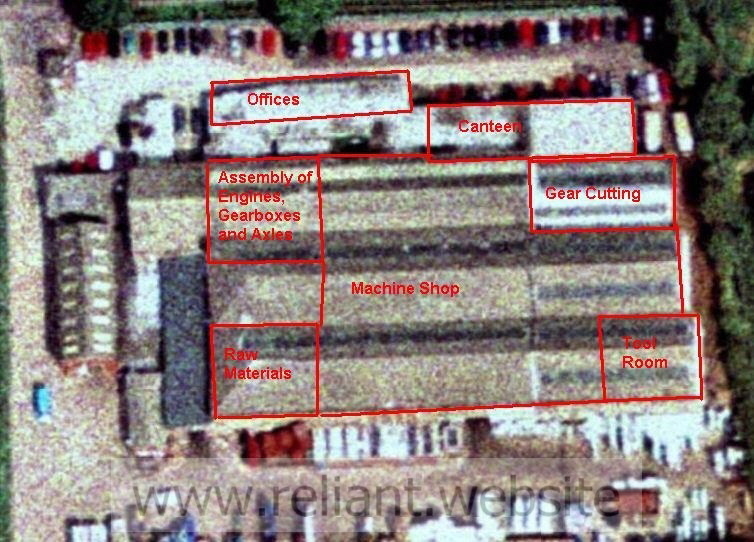 Reliant - Two Gates Site with building details from a 1975 site plan.